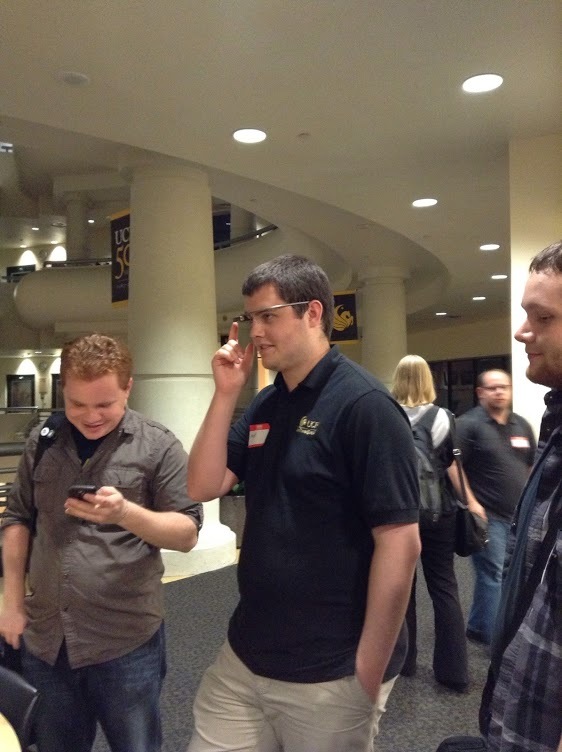 For the past 2 months I’ve been heading up a small technical conference with my department. We have done small 1 hour sessions before, but this was a lofty experiment. 14 talks, 5 hours, 2 tracks, with no budget. It was a resounding success! 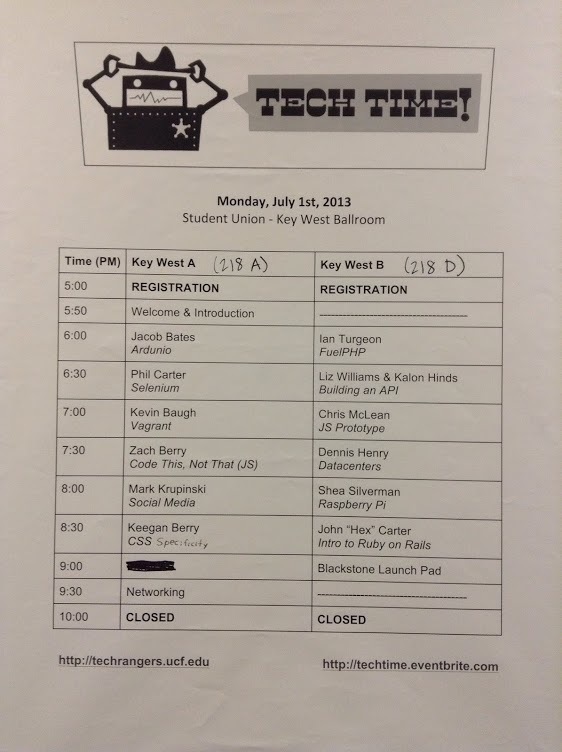 The Techrangers at UCF put on the Extended Tech Time Conference last Monday, July 1st, from 5pm to 10pm, in the Student Union. We had over 60 attendees watch our talks while students, staff, and local companies talked about a wide variety of subjects. 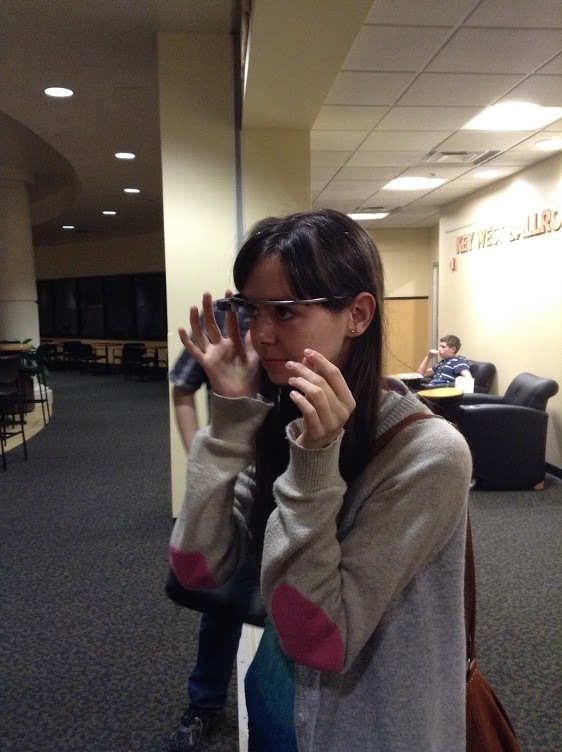 We also had a Google Glass demo, which was really really cool. 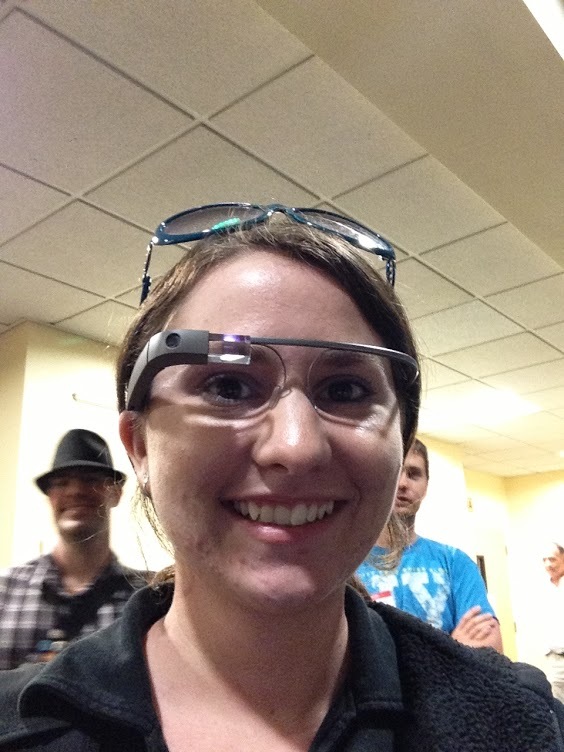 Everyone seems to get “glass-face” the second they put it on. It can only be described as getting a dumb grin, looking halfway up, and trying to focus both on whats on the screen and in front of you at the same time. It only lasts a second but it makes for some really funny imagery. It was tough to use it with my prescription glasses on, but this seriously makes me consider getting contacts. So I’ve been working for a week, trying to get this next release of PiMAME really stable. The problem I keep running into is with DISPMANX and PiSNES/Dgen. With DISPMANX, Dgen works, but PiSNES does not, without DISPMANX, PiSNES works but Dgen crashes. I’m going to hold off on including DISPMANX and Dgen for this release. The new things included in PiMAME 0.7.5 will be STELLA, the Atari 2600 emulator, and CaveStory. This should be uploaded tonight. So the first drafts for the book I’ve been writing came back, and they have very / minor revisions. I’m really excited to see this project coming alone, and hopefully published very very soon. This entry was posted in Friday, programming, raspberrypi and tagged book, pimame, raspberrypi, techrangers, techtime by SSilver2k2. Bookmark the permalink.